So you have build your e-commerce business. Now the homework is to boost your business to reach the target audience. You may have various products for different kind of consumers. But how will you deliver it to them? That will need an extra effort. Here is the importance of big data in the business. Many big e-commerce in the world has been using big data to attract their customers, but that’s not what it can be done. By using the right tools, the right data platform that can give you more than just analytics. It will bring you in a closer relationship with your consumers. Therefore you can see their preferences, their shopping habits, and what will most likely they buy from you. Shoppers can search any product they want on the internet. And perhaps they will also share their reviews on their social media too. When they stumble upon your retail business, they will talk about you and influence other people with their opinions. Either you will gain new prospective customers, or you will lose some from negative reviews. To see what shoppers like and need, retailers can analyze the data from both online and offline customer’s data. These data includes e-commerce transactions and social media updates. 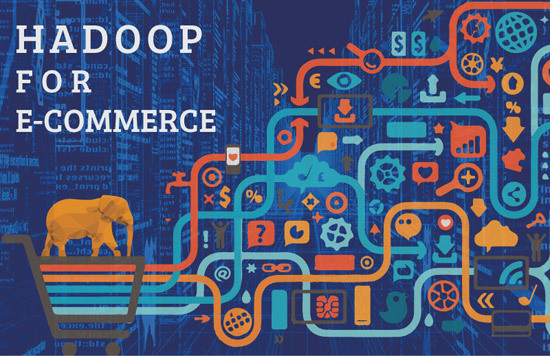 Big data software framework like Hadoop is getting things easier for retailers, to come up such massive information into a useful source for e-commerce business. Predictive: the data collected can be an accurate prediction for the future act. It will collect customer’s shopping behavior to see what’s the trend and what will be the next big thing. For example, when shoppers see their gadget is getting boring, they will search for a newer ones and therefore retailers can predict which one will be on the rise. Descriptive: The data collected will describe what has going on. It will report every e-commerce transaction, search results, social media reviews, and every little things that will affect the business. Prescriptive: From those data, retailers can see where the problems and find the right solution for it, even to prevent it from happening again in the future. Analytics: Of course, all data meant to be analyze and diagnose so retailers can see every targeted customers they have, what have been done and what should they do next. Gather all the useful information will makes easier to determine the next act. Retailers can get a lot benefit from Hadoop, especially when everyone and everything is exposed to the world right now. How can we use these scattered data for making the e-commerce better? Let us know what you think. Drop your email here and if there is anything you need to discuss, we’re always be here.